I hope you are already familiar with Micromax’s first Canvas 3D mobile that was leaked few week back ( Micromax A115 canvas 3D ) . Micromax A115 canvas 3D is another Dual core budget smartphone from Micromax’s highly popular series CANVAS . Micromax A116 canvas Hd , Micromax A110 & Micromax A72 canvas viva handsets are already known by Indians . As suggested from the name that Micromax A115 Canvas 3D is an Android smartphone that is capable of showing 3D media . Micromax A115 canvas 3D is launched at the price of Rs 9999 . Micromax A115 canvas 3D will hit the Indian markets by first week of MAY . Micromax has already has 1 Quad core device known as Micromax A116 canvas HD . It seems that Micromax upcoming handset after A115 canvas 3D will be Micromax A111 whose images are also leaked online . Whereas some are saying that Micromax A120 canvas 3 will be next Quad core android device from Micromax . Well a this are apart from Micromax A115 canvas 3D because there are many thing in Micromax Canvas 3D that sets it apart from other mobiles / smartphones at this price tag . Micromax A115 canvas 3D price is Rs 9999 . Micromax A115 canvas 3D is successor to Micromax A110 canvas 2 . 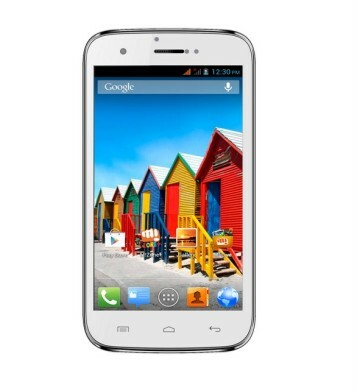 Micromax A115 Canvas 3D has 5inch wvga resolution display ( 480 x 800 pixels ) . Micromax Canvas3D’s display is capable of showing 3D content without 3D glasses . So , you can view 3D content on Micromax A115 canvas 3D with your naked eyes . Micromax A115 canvas 3D is draws its strength from MTK6577 Dual core processor integrated with 512MB of RAM . The Micromax Canvas3D has 4GB ROM ( internal memory ) & 32GB expandable memory via micro sd card . Micromax has already installed many 3D games as well as 3D apps to make the device more approachable & to provide user a good experience . Micromax A115 canvas 3d runs on Android 4.1 jelly bean . the device has 5Mp rear autofocus camera with dual ED flash & vga front facing camera . The device has capability to convert your images to 3D images , in sort we can say that the device can capture 3D images . Micromax A115 canvas 3D is powered by 2000mAH battery which is claims 225hours of standby time & 4.5 hours of talk time . The SAR value of the device is not confirmed yet . 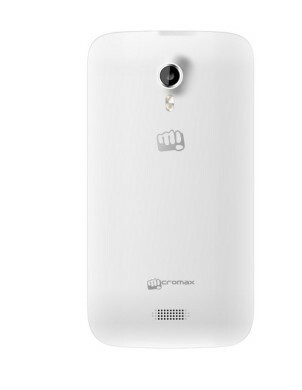 Micromax A115 canvas3D has Proximity sensor , Motion sensor & Gravity sensor . Micromax A115 has Dual Sim with Dual standby capability . Micromax canvas 3d has 2G, Wifi , 3G , Bluetooth , Gprs , USB 2.0 , 3.5mm audio jack , GPS connectivity . 5inch wvga Capacitive touch screen . Display which is capable of showing 3D content . 5MP auto focus rear camera & 0.3MP front facing camera . 2G, Wifi , 3G , Bluetooth , Gprs , GPS connectivity . micro USB to standard USB 2.0 , 3.5mm audio jack . Proximity sensor , Motion Sensor , G-sensor . 512MB RAM & 4GB ROM . Price – Rs 9999 . Below are some competitors of Micromax A115 canvas 3d . Micromax A115 canvas 3D vs other Dual core handsets & some Quad core handset . Gionee G1 Gpad ( Unboxing & Review ) – Gionee G1 Gpad has 5inch display & dual core processor . Gionee G1 Gpad has 2931 benchmark scores which are higher than Micromax canvas 2 . Micromax A110 canvas 2 – Micromax A110 canvas 2 has 5inch display & dual core processor . It has 8Mp rear camera . Celkon A119 Signature HD – Celkon A119 has 5inch display of 720p resolution & it also has 1GB RAM . Micromax A91 ninja – Micromax A91 ninja has 4.5inch display & it is powered by Dual Core Processor . Xolo B700 – Xolo B700 has 4.3inch QHd resolution display . It has 3450mAH long lasting battery . UMI x1s – UMI x1s has Quad core processor at very attractive & budget price .